It’s hard to improve upon a classic hot dog, especially when it is made of grass-fed beef. On it’s own, this hot dog is wonderfully delicious, possessing a nostalgic quality only bestowed upon certain food items. The hot dog is one of those childhood staples that never falls off our radar. It will forever have a place in our lives, be it as the highlight of a backyard barbecue, the requisite snack during a baseball game, or as a simple but vital comfort food. Foxhollow‘s hot dogs are particularly addicting, needing nothing more than a bun and (in my world) a squeeze of ketchup. If you look around, you’ll quickly notice that the hot dog has taken a bit of a gourmet spin through various kitchens and food trucks, trying on different toppings for size, resulting in a hot dog experience one would have never imagined as a child. Gleaning from the creative ways I’ve seen hot dogs reimagined, this recipe takes full advantage of fall’s bounty, tossing freshly shredded Brussels spouts, radicchio and carrots with a bright, vinegar based dressing. Onions are cooked low and slow until they melt into sweet goodness and jalapeños are given a quick pickle, adding spice and bite to this complete hot dog experience. 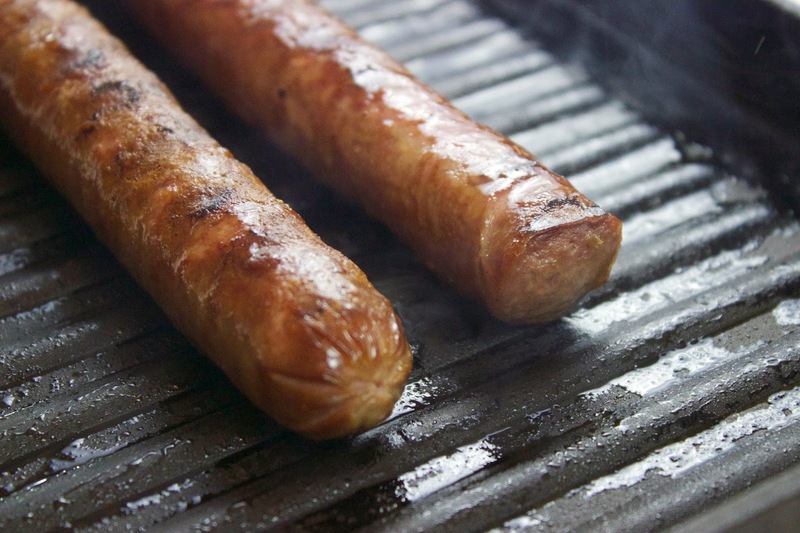 Each element enhances the grass-fed, all beef hot dogs crafted by the good people of Foxhollow Farm. So fire up the grill and begin shredding the veggies… an all new hot dog experience is just a few easy steps away! To begin, let’s get the onions cooking. Warm a small sauté pan over medium heat and add one tbs of olive oil. 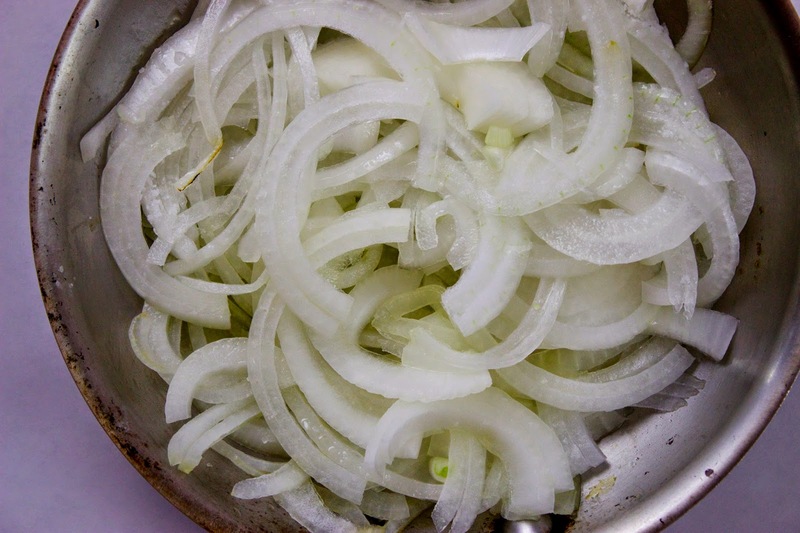 Thinly slice one large onion and place in the hot pan. Add one half tsp kosher salt and one half tsp sugar. Toss to combine and cover. Cook over medium heat for five minutes, toss well, recover, and reduce the heat to low. 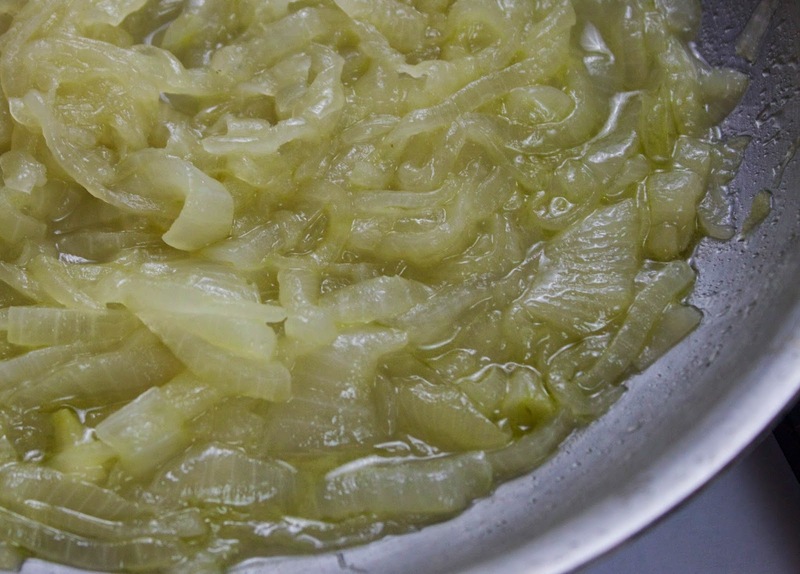 Continue to cook for thirty to forty minutes until the onions have reduced and are silky and golden. While the onions are cooking, prep the pickled jalapeños. Thinly slice two jalapeños and place in a bowl. Put a small saucepan on the stove and add one quarter cup apple cider vinegar, one quarter cup water, one half tsp kosher salt and one half tsp sugar. Bring to a boil and stir until the salt and sugar have dissolved. 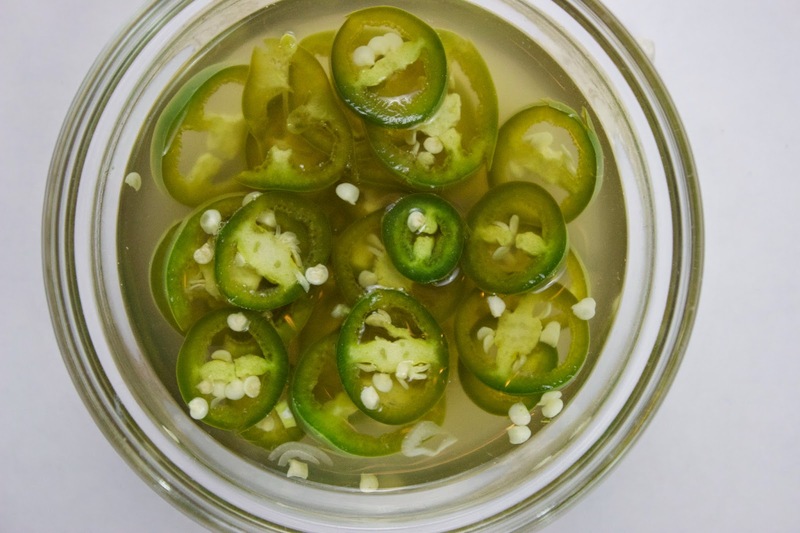 Pour over the jalapeños and set aside, keeping at room temperature, allowing the jalapeños to pickle for thirty minutes. Two toppings down, one more to go – the slaw! This slaw is vinegar based, which I preferred to a mayonnaise base in this application so that the raw veggies could really shine through. However, if you have a go-to slaw recipe it will work just as well. 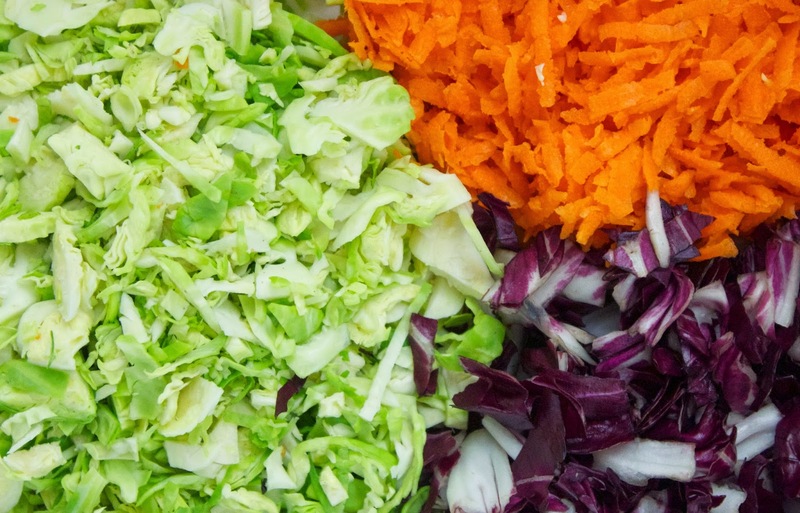 Place the following ingredients in a large bowl: one cup shredded radicchio, one and one half cups shredded Brussels sprouts and one half cup shredded carrots. In a separate bowl, combine the following: one half tsp minced garlic, one tbs dijon mustard, three tbs apple cider vinegar, one half tsp kosher salt, one quarter tsp celery salt, one quarter tsp freshly ground black pepper, one quarter tsp sriracha and the juice from one half of a lemon. 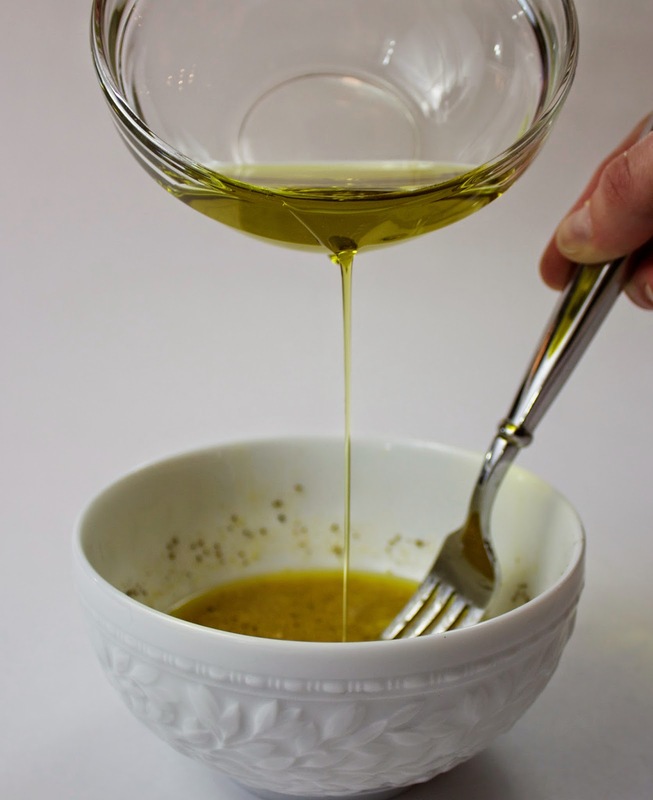 Whisk together until smooth and then, while whisking, slowly add five tbs olive oil. Spoon three tbs of the dressing over the slaw and toss to combine. Add one tbs freshly minced parsley and mix well. Add additional dressing until the slaw is seasoned to your preference. Now that the toppings are all prepped and marinating, it’s time to cook the Foxhollow hot dogs! Heat a grill pan over medium-high heat until very hot. Add one tsp of olive oil and warm through. Cook the hot dogs for eight to ten minutes, rotating every two minutes or so, until the hot dogs are seared on all sides. 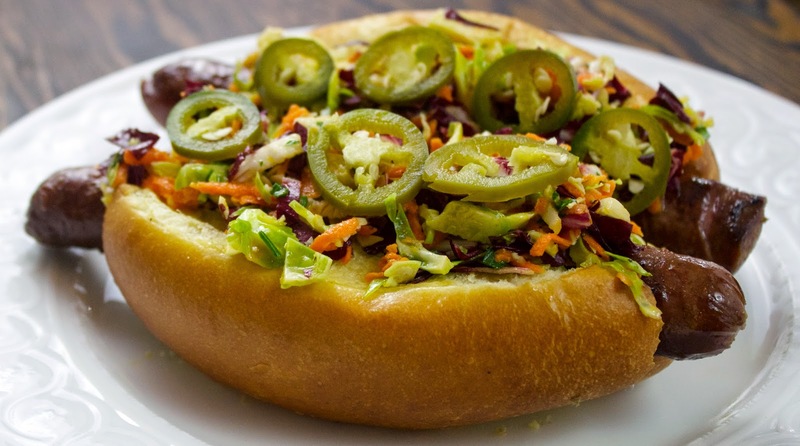 Place the hot dogs in toasted hot dog buns, top with the candied onions, slaw and pickled jalapeños and serve. Two toppings down, one more to go – the slaw! This slaw is vinegar based, which I preferred to a mayonnaise base in this application so that the raw veggies could really shine through. However, if you have a go-to slaw recipe it will work just as well. Place the following ingredients in a large bowl: one cup shredded radicchio, one and one half cups shredded Brussels sprouts and one half cup shredded carrots. In a separate bowl, combine the following: one half tsp minced garlic, one tbs dijon mustard, three tbs apple cider vinegar, one half tsp kosher salt, one quarter tsp celery salt, one quarter tsp freshly ground black pepper, one quarter tsp sriracha and the juice from one half of a lemon. Whisk together until smooth and then, while whisking, slowly add five tbs olive oil. Spoon three tbs of the dressing over the slaw and toss to combine. Add one tbs freshly minced parsley and mix well. Add additional dressing until the slaw is seasoned to your preference. Now that the toppings are all prepped and marinating, it’s time to cook the Foxhollow hot dogs! Heat a grill pan over medium-high heat until very hot. Add one tsp of olive oil and warm through. Cook the hot dogs for eight to ten minutes, rotating every two minutes or so, until the hot dogs are seared on all sides. 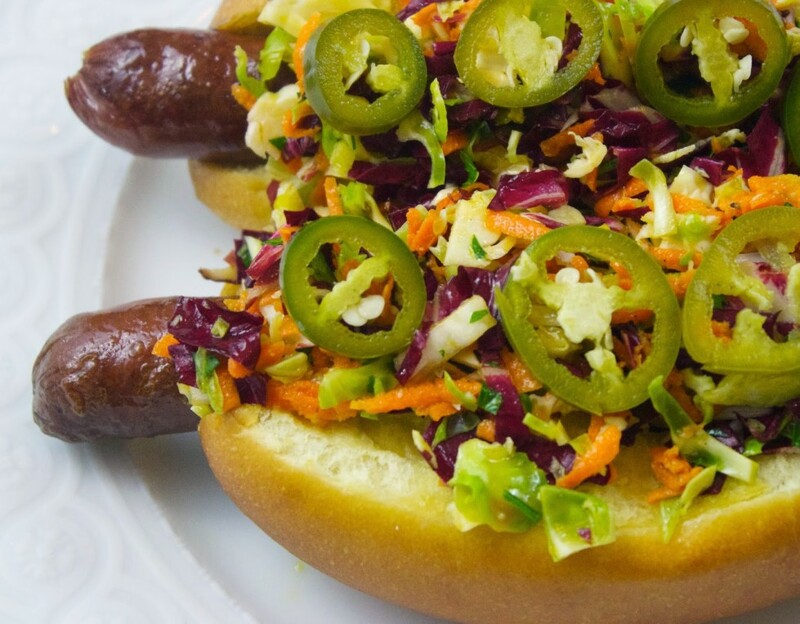 Place the hot dogs in toasted hot dog buns, top with the candied onions, slaw and pickled jalapeños and serve.